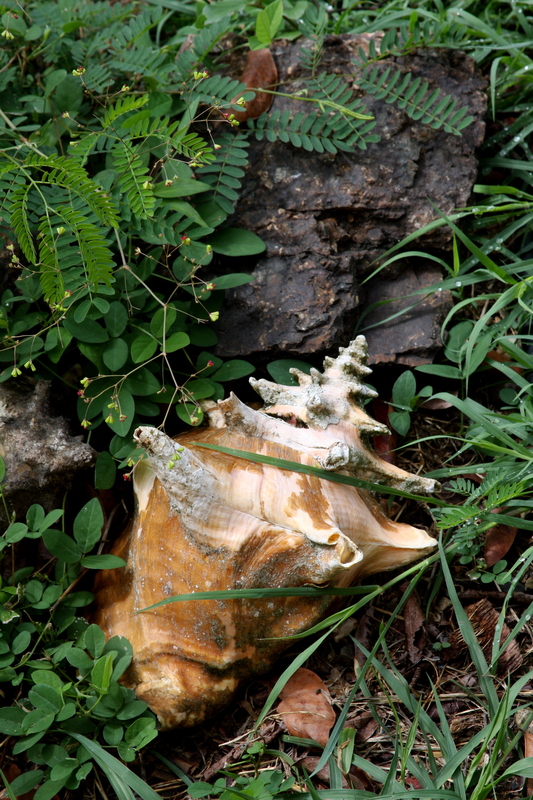 You are currently browsing the tag archive for the ‘conch’ tag. 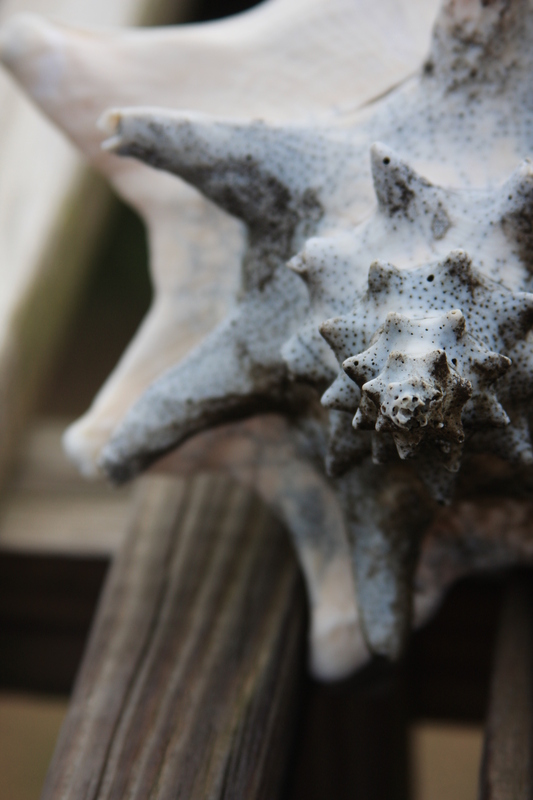 Today was one of those blue days when I just want to crawl into the spiral of a shell and stay there until my spirits lift. But that’s not the way life – or depression – works. On these days. sometimes, my mind wanders to things that made me bluer, and then I have to shift my perspective on those things to see the blessings inside them. 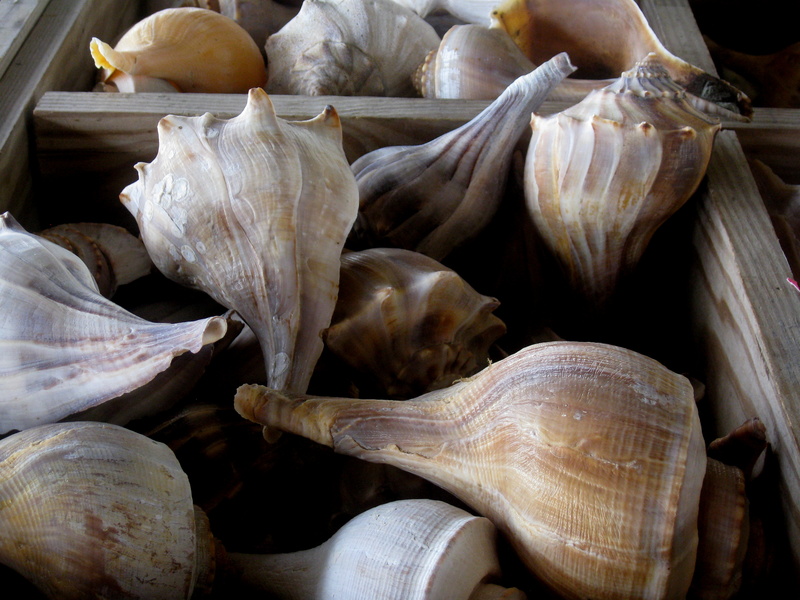 They’re in there, just like a conch is nestled within the spirals of its shell. That my mother used to let me eat frozen peas in the summer when it was hot. They were so good and sweet, one at a time. 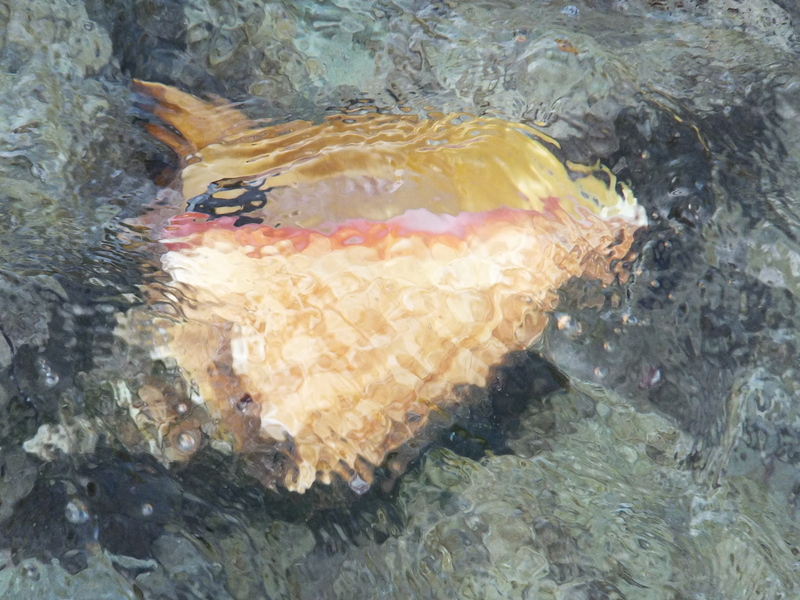 I love this shot – it looks like a slightly abstract painting to me. It’s the end of a long-short week – curious, isn’t it, how four-day work weeks can feel as if they are six days long? I’ve had a lot of thoughts this week – about the future, about possessions, about forgiveness, about mortality – and have reached no particular conclusions, except that I am looking forward to the future. And the rest of those things take work – except for mortality, of course, because we have so little control over that. 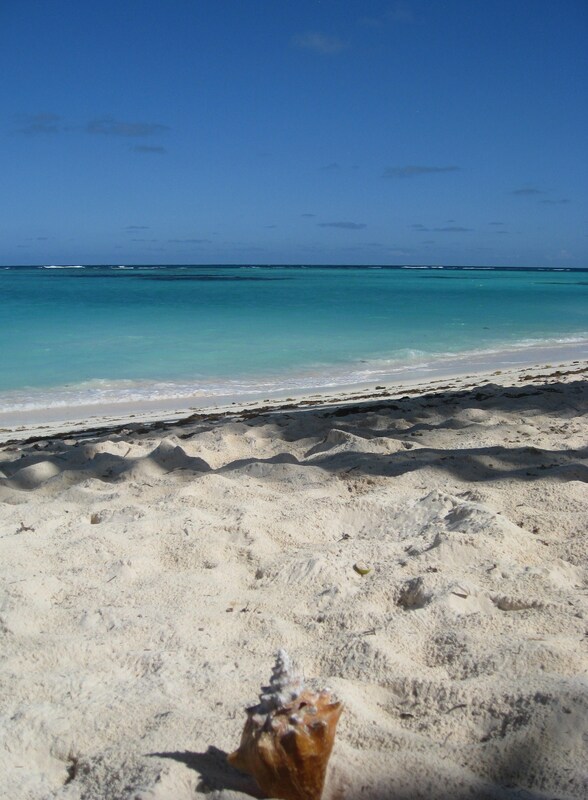 We may just virtually stay here on Anegada for a few days – you and me…. Lots of things change, but the beach is always wonderful and full of beauty. 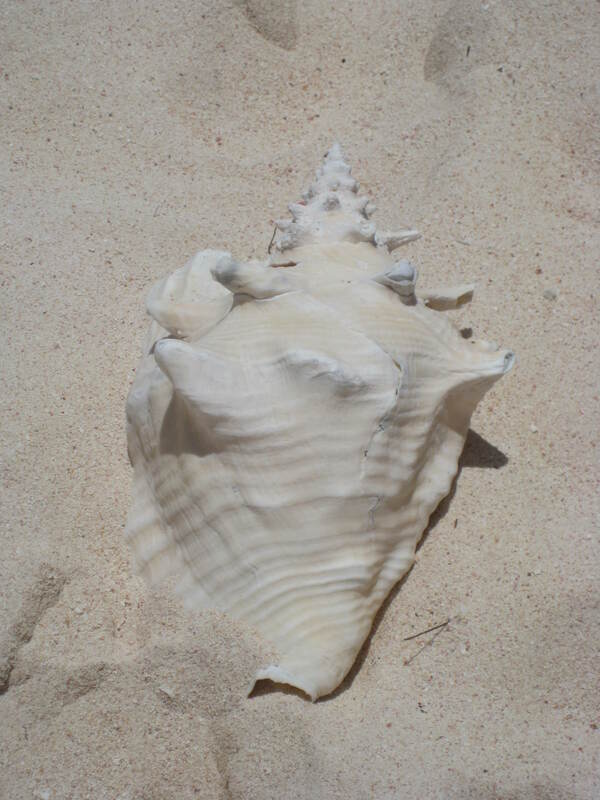 Loblolly Bay, Anegada, British Virgin Islands. Don’t you hate it when you see that you’ve written something down and you have no idea what it means? I have the word “coodle” written on a napkin in front of my computer. I don’t think “coodle” is an actual word. Though perhaps it should be. Headline in The Denver Post today: “Melons Claim Another Victim”. Perhaps I’m overtired, and I truly do feel awful about anyone who has lost someone due to the serious melon health problem, but this headline struck me as funny. Killer melons on the rampage, roaming about in gangs. Something out of a B-movie. There are rabbits living in my garage. I know this because I saw one squeeze under the super-tiny space between the door and the concrete last night. Now I am concerned that there are lots and lots and lots of rabbits living in my garage. When I open the doors in spring, will I be crushed by an avalanche of bunnies? Roscoe is doing much better. I miss him now that ex-Pat is back taking care of him. And I’ll bet he misses me too. Our wind gusts are supposed to get up to 120mph today. Those, ladies and gentlemen, are our chinooks. Hopefully, the warm temperatures that they bring will melt the remaining ice on my sidewalk, so the city doesn’t issue me a citation. But that’s a whole other rant. 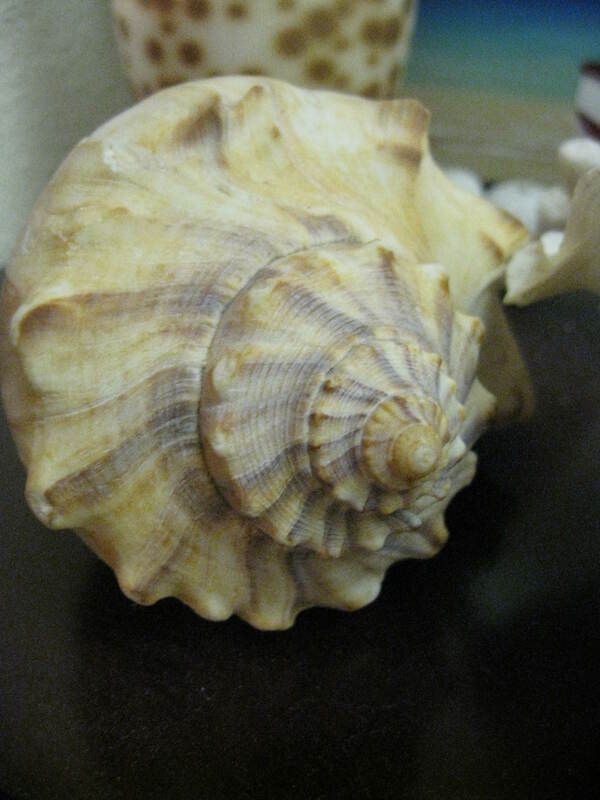 This whelk sat on my Mother’s bookcase for many years. Now it sits on mine, reminding me of many things beautiful.